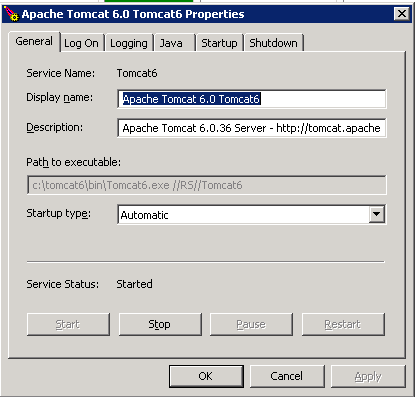 Because of the App that we are working with, we can only use Tomcat 6. Note: Care should be taken by the installer to address proper notification, testing and there could be variations to doing this process. Why upgrade? There can be many reasons and just to keep up-to-date is not always the best reason to do so. 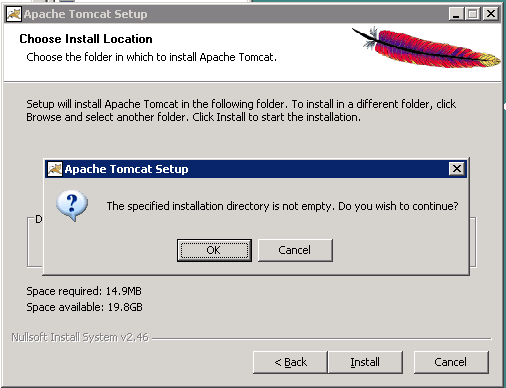 However, reading the Apache Tomcat Change Log and the fact that there have been many releases since the version that I am going to show below which address memory, cpu and other components when running on the server. Before we start... Backup, backup, backup.. Did I say backup? Take the time to do this – it will save you heartburn and headaches later. Go to the Java Tab and copy off the Java Options of the settings you may have made (paste into a notepad and save) – since this is not a tuning/tweaking tutorial, that is another discussion. Note 3: It is a poor practice to install Web Services on the same volume as your OS – that should be common knowledge. 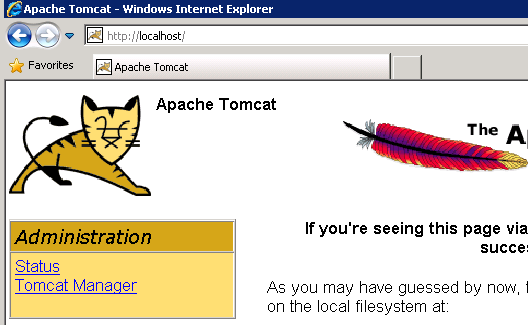 I know, I know.. My screen pics show C:\tomcat6 in them.. 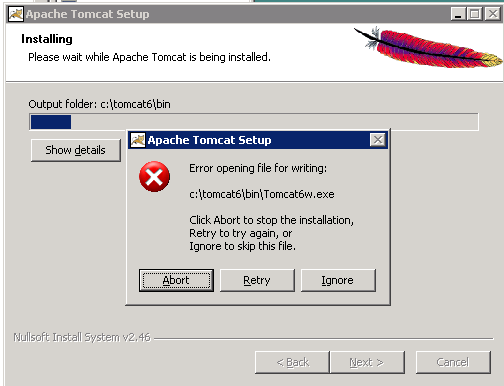 I did not build out this server that I did this on..
Can’t I just take the installer (.exe) from tomcat.apache.org and install and upgrade? Unfortunately, this is not the case as we will discover below. 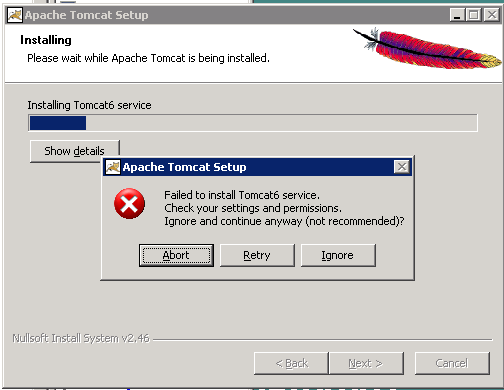 OK.. Let’s uninstall The Application – Add/remove or Programs and Features..
Stop here.. We are going to click No.. Otherwise, you will have to re-deploy war files, settings, etc. to your server. Start the install of the new version of the software.. Awesome! Service installs and completes.. Uh oh.. Since I have done this before.. 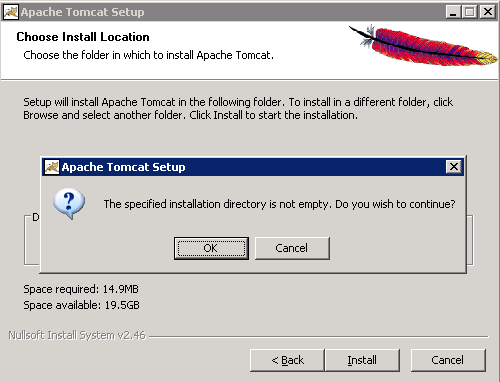 Copy sqljdbc4.jar from /tomcat6-old/lib to the /tomcat6/lib folder.. 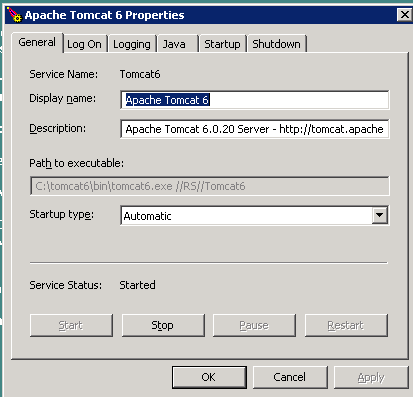 Restart Apache Tomcat services and check connectivity again. Wait for services to come back online.. Re-enable monitors.. We are done!! 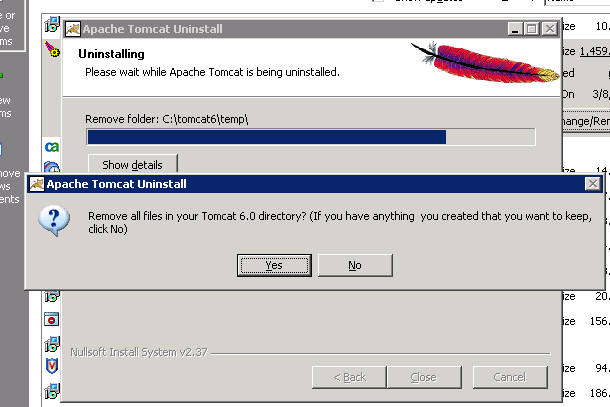 After the systems comes back online, watch the Tomcat install for memory and CPU usage.